Mod Podge is an all-in-one glue, sealer and finish, trusted by crafters for their most treasured creations. Available in a variety of formulas, the Mod Podge family of decoupage mediums provide endless possibilities. For everyday needs, reach for Mod Podge Craft Glue, great for basic bonding needs using paper, wood, fabric and other porous surfaces. Add dimension to your next project with Dimensional Magic. Finish and protect decoupage and craft projects with new acrylic sealers. Shop the Newest Mod Podge Products! Mod Podge ® Ultra Gloss, 8 oz. Are you looking for decoupage project ideas for Halloween? Get out your Mod Podge and start crafting the 10 decoupage projects in this free eBook. Looking for decoupage collage ideas? Get out your Mod Podge and start crafting the projects in this free eBook! Looking for decoupage ideas for getting ready to head back to school? Get out your Mod Podge and start crafting the 10 projects in this free eBook! Learn the differences between the classic Mod Podge Photo Transfer Medium and Mod Podge Clear Image Transfer Medium. If you want to learn how to use Mod Podge Photo Transfer, take a look at this article. 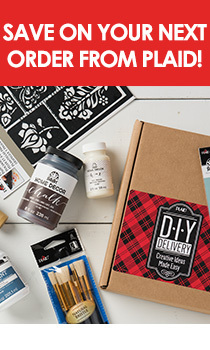 Make sure you have the basic decoupage supplies needed to make any Mod Podge project a success. Watch this video to see a unique way of using Mod Podge Photo Transfer. Learn how to work with Collage Clay, tint with FolkArt paint, and embed trinkets to create a fun 'over-the-top' design when creating Decoden craft projects. The decal technique for Mod Podge Photo Transfer creates a cling that can be used on any glass surface. Consult the Mod Podge Formula Guide to find the perfect Mod Podge formula for your next project. Learn more about Mod Podge Clear Image Transfer Medium by reading the FAQ.